Though the summer sunshine had disappeared by the time the auction began on Wednesday 19th August 2015, this did nothing to deter buyers. The auction room was well attended with over 500 lots for buyers to choose from. The public viewing sessions were also excellently attended in the three days prior to the auction, with our viewing rooms particularly busy on the morning of the sale itself. 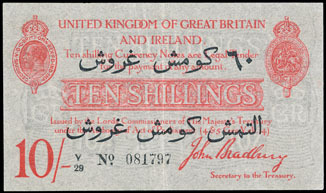 The auction began with the English banknotes section. Issued for the use of the British Military/Naval Expeditionary Forces in the Mediterranean during World War I, this rare and sought after 1915 Bradbury Dardanelles Campaign 10/- note realised a total of £342. Though mainly attributed to London, there were also a range of Peppiatt banknotes attributed to 8 different branches across England. 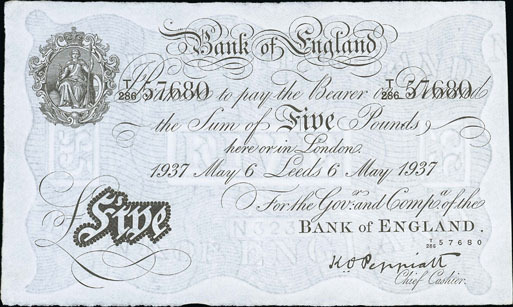 This 1937 Leeds Branch £5 example, graded as 'good very fine', sold for £305. 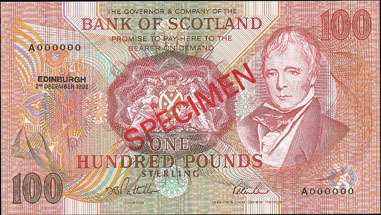 Modern banknotes also achieved good prices with this Page 1978 £1 experimental issue realising £177. 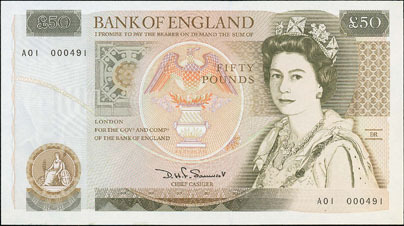 And this Somerset 1984 £50 first run note sold for £129. 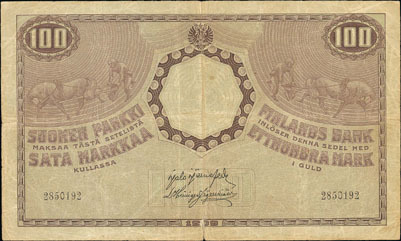 Banknotes from overseas also proved popular with this 1918 100 markkaa from Finland realising £271. 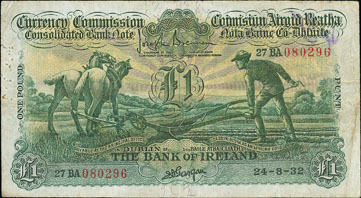 This Irish 1932 Bank of Ireland £1 ‘Ploughman’s’ banknote sold for £188. And this Scottish 1992 Bank of Scotland £100 specimen banknote achieved £188. The British coins section began with a number of miscellaneous lots, with careful viewing rewarding keen buyers. Most of these lots sold for well above estimate. There was an amazing range of early hammered gold offered in this auction. Highlights include this Edward III noble graded as 'very fine' which realised a total of £2,065. 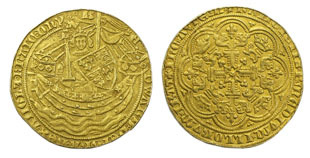 This Edward IV half ryal, minted in York and graded as 'good fine' sold for £767. And this Henry VII angel with mintmark anchor and graded as 'good fine' achieved £973. Milled coinage lots also were popular with bidders, with this George I 1723 SSC crown graded as 'nearly very fine' realising £1,062. This George II 1739 crown sold for £1,032. And this George IV crown graded as 'good extremely fine' and 'proof like' sold for a whopping £1,475 which was double the estimate. 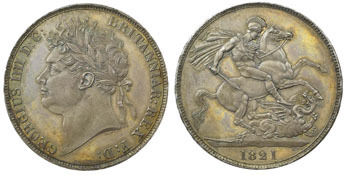 Always popular and arguably the most beautiful coin Great Britain has ever produced was this 1847 Gothic crown, graded as 'good extremely fine', which realised £4,012. Well worth the money for such a lovely example. A healthy range of milled gold coins were also on offer this auction, including this William III 1696 half guinea, with elephant and castle, which realised £619. This George II 1739 two guineas described as 'good fine' achieved £826, despite being from a mount. This George III 1797 spade guinea highly graded as 'nearly extremely fine' sold for £708. The British gold coins section was well represented with this George III 1817 sovereign realising £619. This William IV 1832 sovereign described as 'very fine' and double struck on the date sold for £619. Arguably the highlight of the section was this William IV 1836 sovereign variety with the letter N of ANNO struck in the shield. It realised a massive £3,068. 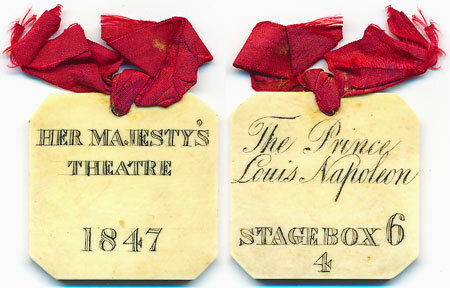 A particularly interesting and unusual lot, this 19th century ivory theatre token sold for £365. To read the full story please see our 'latest news article'. A number of Duke of Wellington commemorative issues were offered in the medallic and commemorative section of the auction. This 1814 Battle of Talavera medal by Donnadio, La Fitte and Mundie realised £153. 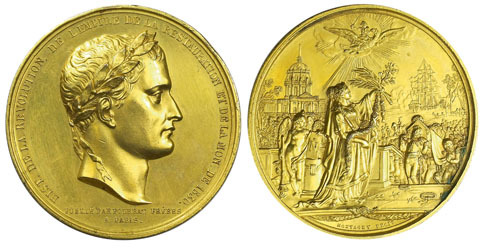 This 1811 Baptism of the King of Rome Napoleon medal sold for £153. And this 1840 medal commemorating Napoleon’s remains returning to France achieved £200. In the world coins section a number of thalers were offered. 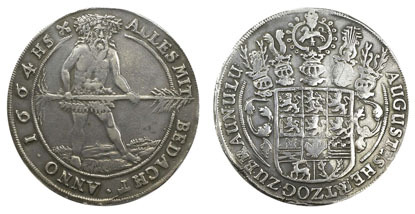 Examples include this German States Brunswick-Wolfenbuttel 1624HL thaler which realised £141. This 1664 example also from Brunswick-Wolfenbuttel sold for £188. 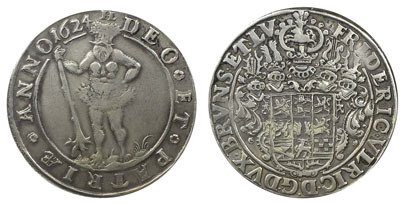 And this Hungary 1696KB thaler achieved £177. The sale drew to a close with the ancient coins section, and this Roman Valentinian I gold solidus realised £401. This Byzantium Heraclius solidus dr achieved £236. 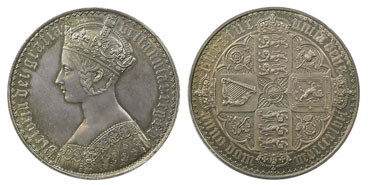 Our next coin auction will be held on Wednesday 21st October 2015. Look out for the full catalogue for this sale, which will appear on our website in the next few weeks. Also keep an eye on our Twitter and Facebook pages which will include updates of our latest auction news.